Nel Marzo del 2013 il famoso The Guardian Marche Sirolo Ancona Italy Pubblica una bella recenzione sulle Marche. Visto che all’interno del Pauro del Conero non ci faccaimo mancare nulla condivido con voi l’articolo in lingua originale. le immagni sono nostri scatti, prenderemo solo i tratti riguardanti la nostra bellissima riviera del Conero. Ancona might be your gateway. Ryanair flies direct from Stansted, and an improved rail link with Milan opens next month. Ferries from Greece, Croatia and further afield pack its port. It’s tempting to head straight out of town: it was bombed in two world wars, and earthquakes had anyway already levelled much of the medieval architecture. But that would be a mistake. 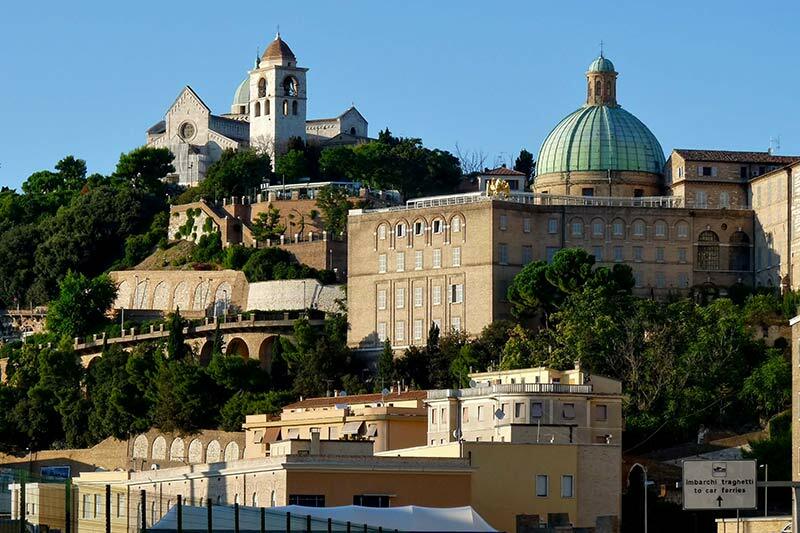 Ancona was founded by ancient Greeks as an outpost of Syracuse, in Sicily, and its harbour thrived during the Roman era. The second-century Trajan’s Arch still guards the port. It also saw plenty of Crusader traffic in the middle ages. Pope Pius II died here in 1464 trying (and failing) to launch a Crusade. 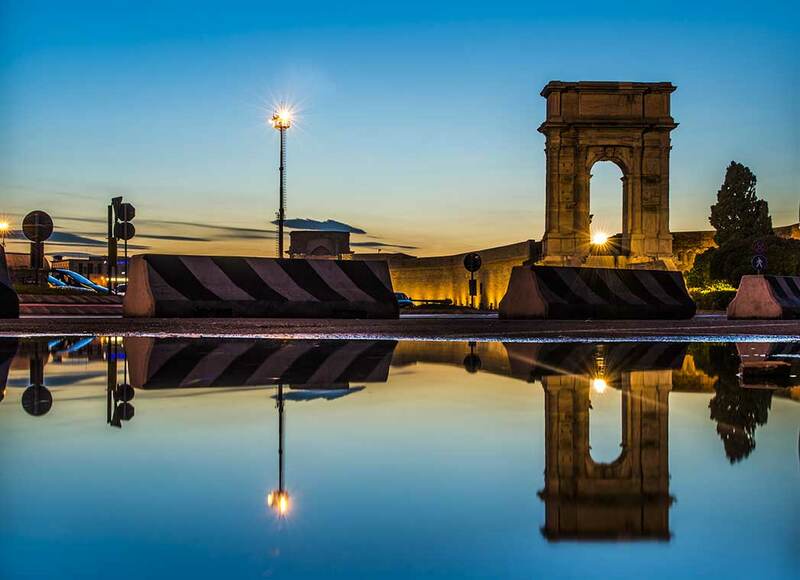 The Museo della Città on Piazza del Plebiscito recounts the city’s history from Roman times to the 1960s. It is free to enter, and there’s a free guided tour on the first Sunday of every month. But to see Ancona’s real highlight, you’ll need to head uphill. A steep climb from the old town ends at the cathedral of San Ciriaco. A couple of marble lions – one grappling a lamb, the other a serpent – support its delicate Gothic porch. There’s no major art inside, but it feels instantly ancient; Corinthian nave columns were raided from a long-gone temple to Aphrodite. It’s free to enter, and free to admire the view from the piazza outside. 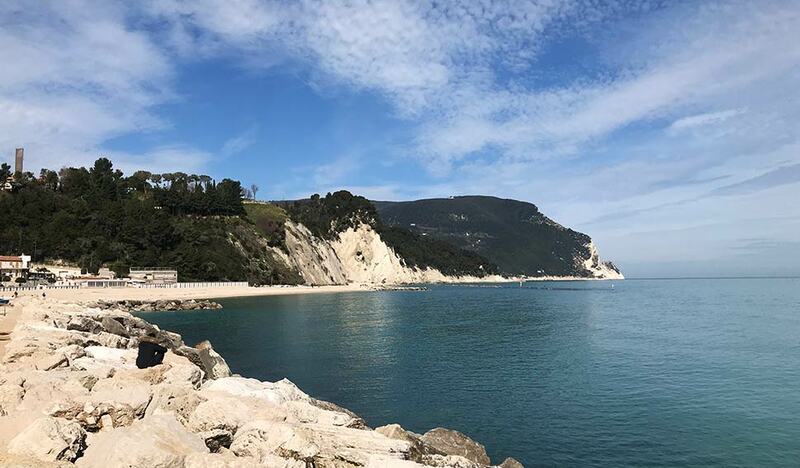 Just south of Ancona, the Conero peninsula is a dramatic, craggy coast that seems out of place on Le Marche’s gentle riviera. Hike the clifftop paths, or ride them on a hired mountain bike. 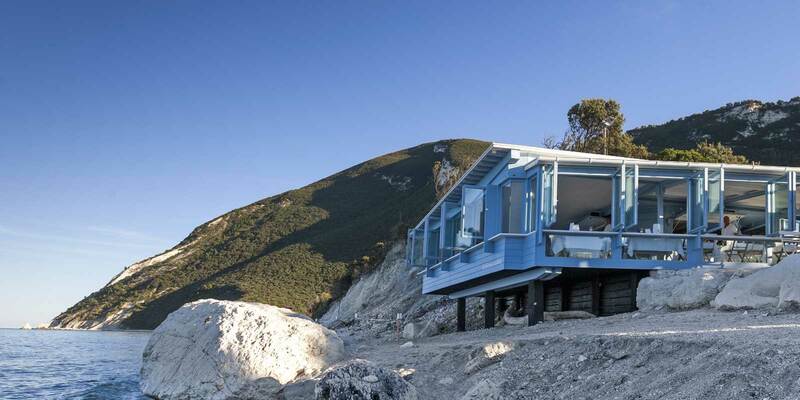 The only way to reach the prettiest Conero beach, at Due Sorelle, is by ferry from Numana. It costs a slightly budget-busting €15 for adults and €10 for kids; see traghettatoridelconero.it for timetables. Now for some culture. Pesaro’s San Terenzio cathedral has glass panels in the floor for viewing Roman and Byzantine mosaics; take a €1 coin for the subterranean lights. 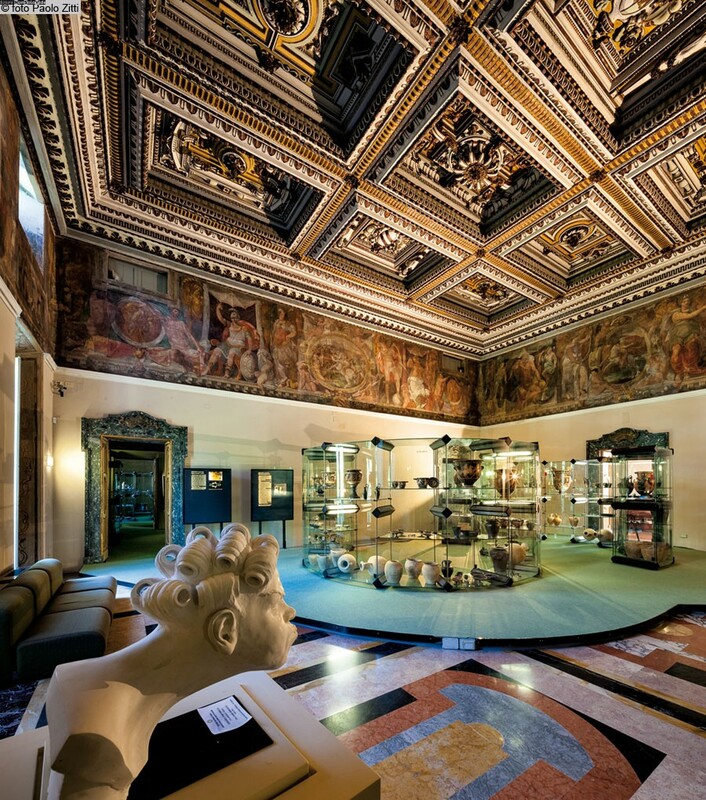 The Musei Civici on Piazza Toschi Mosca have a small, high-quality art collection that includes a Bellini altarpiece and Guido Reni’s muscular Fall of the Giants. It costs nothing to admire Villa Ruggeri, in Piazzale della Libertà, an exuberant (and rare) example of domestic art nouveau architecture, built for a pharmacist in the early 1900s. Pesaro is a popular resort so food prices can be a little high, especially on the seafront. A good bet is L’Angolo di Mario , right on the boardwalk, which has an excellent reputation for sourcing seafood. Waiters happily recommend what’s fresh and local – which is usually everything except prawns, which don’t thrive locally. Mains cost from €11, and there’s a cheaper pizza list for the kids. In the town itself, hidden down a little alley off Piazza del Popolo, Osteria La Guercia is a stalwart of the local food scene: expect beamed ceilings, walls frescoed during the 1940s in antique style, and dishes such as gnocchi with gorgonzola and red piceno wine. Mains are €8 and there’s a €20 tasting menu if you want to get acquainted with a cross-section of local flavours at a sensible price.